Based on the BREED STANDARDS I considered and eliminated several different breeds. I have seen my friend slam the door on her American Bulldog's Tail causing great injury. that it was always injured and bleeding. and also not to get caught in wheel chairs). I also wanted a warm, loving, empathetic, happy sweet nature. that most suited my lifestyle was a Standard Poodle. and for over 300 years the Standard Poodle was "refined" to suit the needs of Human Kind. 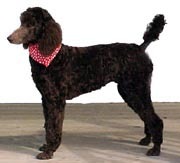 as seen in Prince Rupert of the Rhine's Poodle "Boyu"
to say that the Poodle is lost without their tails seems a ludicrous to say the least. So why are some Breeders not doing it or Fighting agains the Anti docking ? MONEY. Pain and Simple. Some Breeders are just all about saving a buck despite what is best for a Poodle's well being. Novice Breeders all go to the Vet and tail docking and dewclaw removal is an added expense they would rather not have. after experiencing the many hazards I mention above. after your Poodle's wellbeing and get those dewclaws clipped every 1-3 weeks. 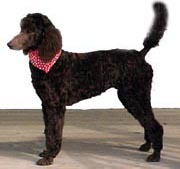 as commonly found in natural tailed Poodles. because the tailbone is still soft and the nervous system that relays pain signals is undeveloped. Docking causes no more discomfort than ear piercing on humans, is over in seconds and has a benefit for the life of the dog. Some puppies are docked while they are asleep and do not even wake up. After docking, puppies will immediately feed and snuggle with mom. The Dew Claw is in the evolutionary process of disappearing. Dew claws are like thumbs and unlike digits 2, 3, 4 and 5, are not used for walking and do not natural wear down. 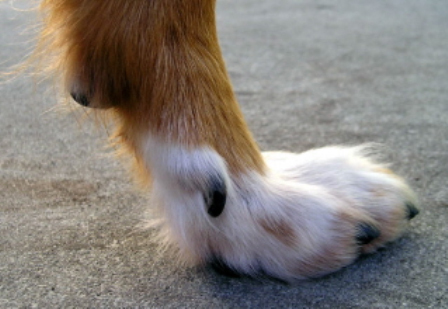 Dewclaw removal is most often performed in puppies around 1-5 days of age and is just plucked off. not being exposed to all the illnesses at the Veterinary Clinic and to ensure it is done properly. 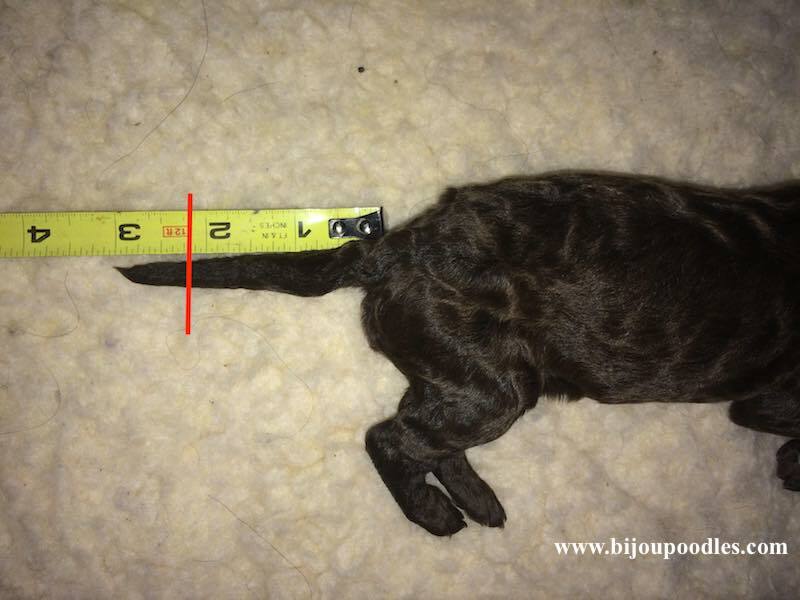 Bijou Standard Poodles removes our dewclaws to prevent future serious injury based on our experience. and almost amputated it when clipping. We have had our Poodle's themselves almost pull their dewclaws off when caught in carpet while running. if our Poodles had dew claws, we would be treating torn dew claws every weekend we raced. Racing Greyhounds have their dew claws removed, to avoid serious injuries ! We have also seen dewclaws gotten forgotten for months, by owners and not been clipped. and needing a great deal of care to clip if not surgery. Dewclaws do not get worn down on their own like other nails as they do not touch the ground. 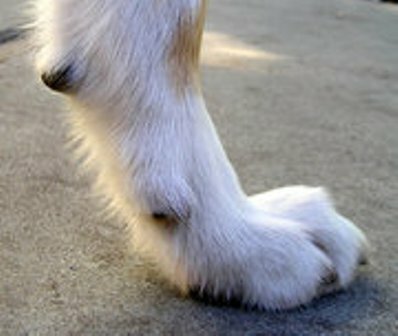 An injured dewclaw has a major amount of blood loss and excruciating pain to the Poodle. or being injured at the groomers. Common Sense.